This day finally arrived. I was heading to Torres Del Paine National Park, in Chilean Patagonia. A place with extreme weather, gale force winds, and a number of micro climates within the park. A staff member at Yagan House prepared a light breakfast before I set off with a number of other trekkers to the bus station in Puerto Natales for the 0730 am departure to Torres Del Paine National Park. What an exciting feeling as you see backpackers with their trekking polls all on foot, heading in one direction, with one destination in mind. I met Fabio, a really cool Brazilian guy on the bus as he was seated next to me. I also met 2 German girls that I would keep meeting up with on that bus. It took about 2.5 hours for us to reach the entrance to the park at Lake Amarga where we had to disembark to pay the park administration fee (12 000 pesos), receive our map and permit for the park and watch a video with rules and guidelines to observe (particularly to leave no trace, respect the rangers, and start no fires). 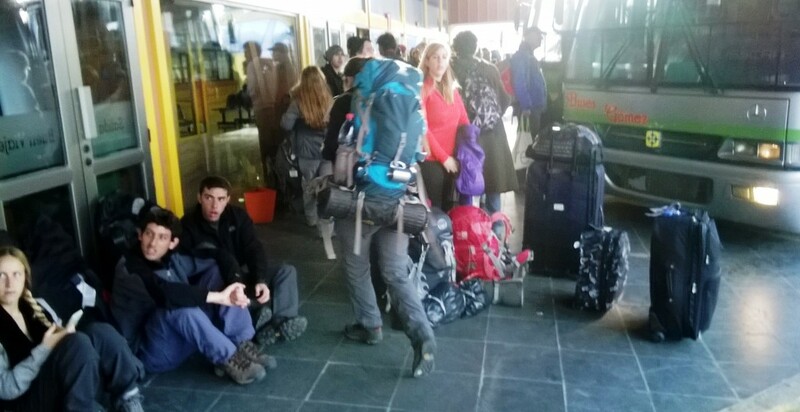 Those who were starting their trek to the West of the park (on the Q Trail from administration, or on the O or W trail from Paine Grande via the catamaran at Pudeto went back onto the bus from Puerto Natales. As I was going to start from the East and convinced Fabio to change his plans (from starting West), we transferred to a smaller shuttle from Hotel Las Torres that dropped us off outside Refugio Torre Central (2500 pesos) where we started out trek to Refugio Chileno and beyond. We applied sun block, got some snacks ready and began to head off on the hike. 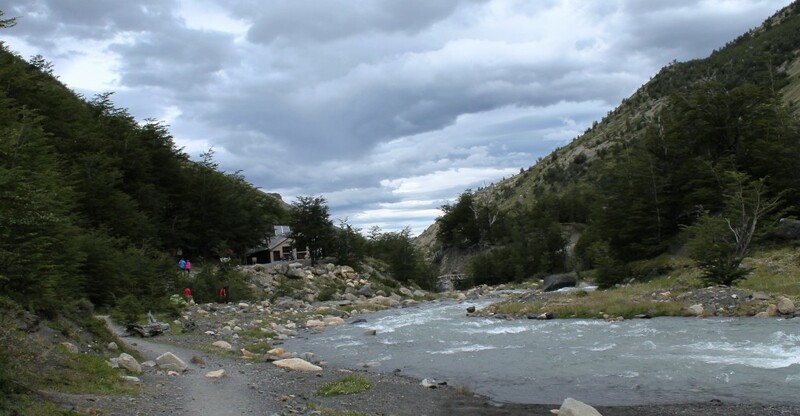 The trek to Refugio Chileno starts by passing Hosteria Las Torres, crossing some rivers (by bridge) and a gentle climb up a mountain. 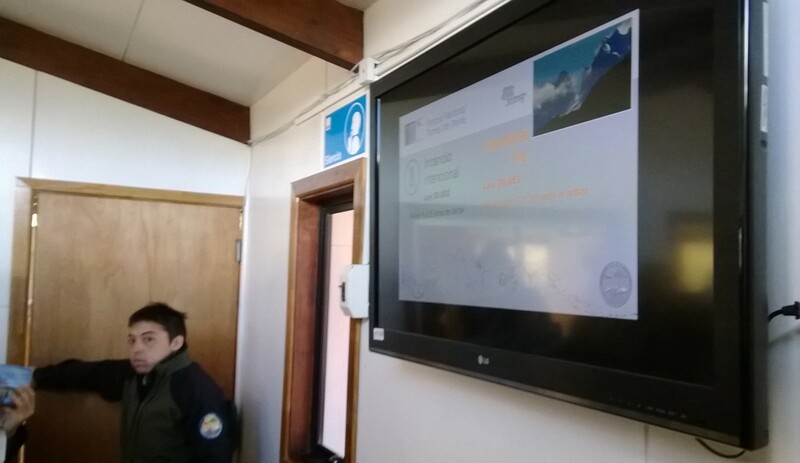 I had to hike through a windy pass at the top before descending to Refugio Chileno after 2 hours and 4.9km. 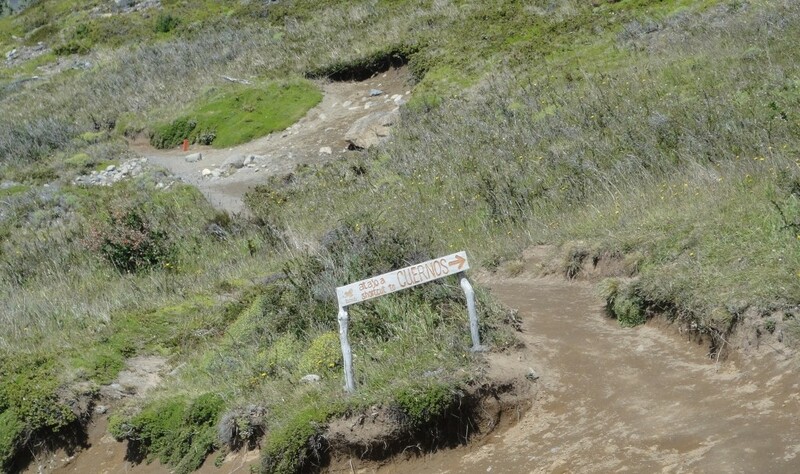 On the way to Refugio Chileno you will also see the shortcut route to Los Cuernos. Shortly after the uphill journey to this shortcut route the trail eventually starts to descend into another valley. It can be quite windy! My Brazilian friend and I stopped to take some photos before entering the Refugio. I was spending the night at Refugio Chileno so I checked in and left my backpack in my dorm. I packed a smaller bag and brought some snacks for lunch to the restaurant area. Fabio used this opportunity to charge his cellphone for a bit. He was planning to spend the night camping 1.75 hours away at Campamento Torres. After 45 minutes we decided to head towards Campamento Torres and Mirador Torres. On the route we were surprised to see a man and a little girl. The man explained that he was from Puerto Natales and he was teaching his 6 year old daughter about their landscape. She had no backpack but at 6 years of age to be able to hike up there – wow! On the way we had to cross over a few rivers. Walk through some beautiful forests. And see some more beautiful streams in the distance. 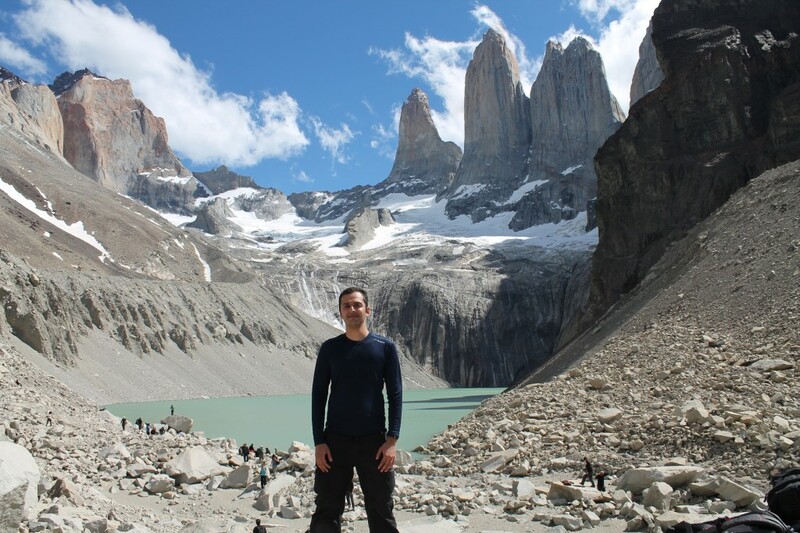 When we got to Campamento Torres Fabio said that he needed to set up his tent and prepare for the night before we ascend to Mirador Torres (the viewpoint to Torres Del Paine), which was only 1km away, but a steep 45 minute climb. It was already 4:10pm so I told Fabio that I would head up and see him at the way up or on the way down. I didn’t want to delay too much as I still had to hike back another 1.75 hours to Refugio Chileno after descending from Mirador Torres. 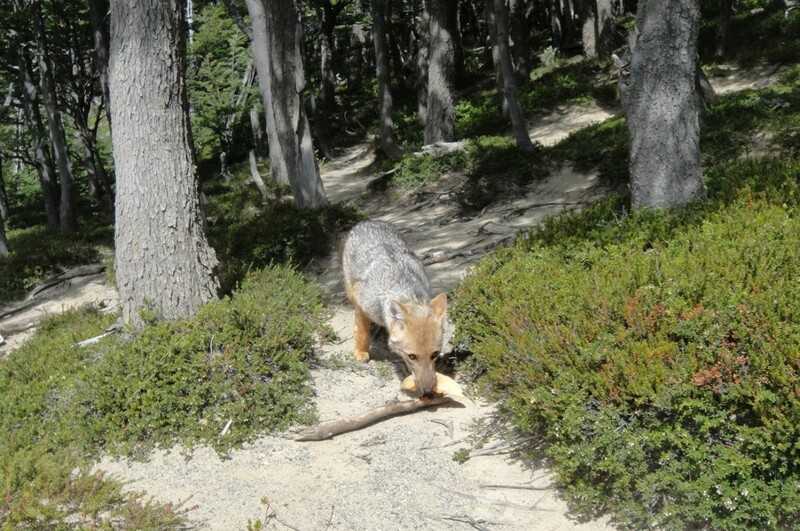 I was fortunate to see a fox on the way up. The route was fairly busy with other trekkers ascending and descending. 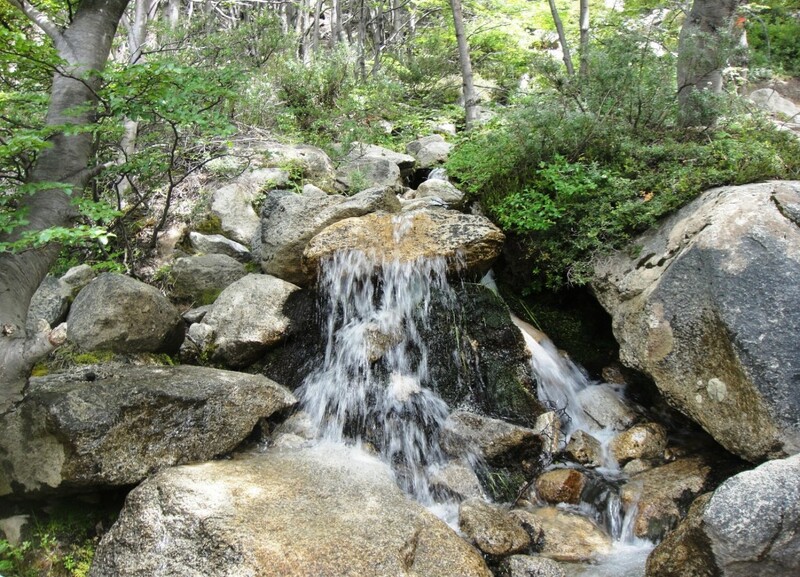 You pass by a few small waterfalls with fresh drinkable water on the way up. You can’t see the 3 Towers until the last moment when you are right at the top. It is a fairly rocky route to the top. It was amazing to reach and finally see Torres Del Paine – the 3 Towers after experiencing a few gusts of strong, yet tolerable wind on the way up. I was expecting to see the towers, but not the snow on it melting into a lake beneath it, which then opens up into a river. To be able to see the formation of a river from its source is splendid. I also met the 2 German girls from the bus up there. They took some pictures of me, including one where I asked them to take a shot of me jumping with the Torres behind me. They said that they would like me to take a photo of them jumping as well. We had fun as I made them jump about 8 times before we found a burst setting on their camera that could capture them in the air. Their camera was too slow for me to capture the initial jumps. I spent about 45 minutes up there before heading down. I didn’t see Fabio again that day. 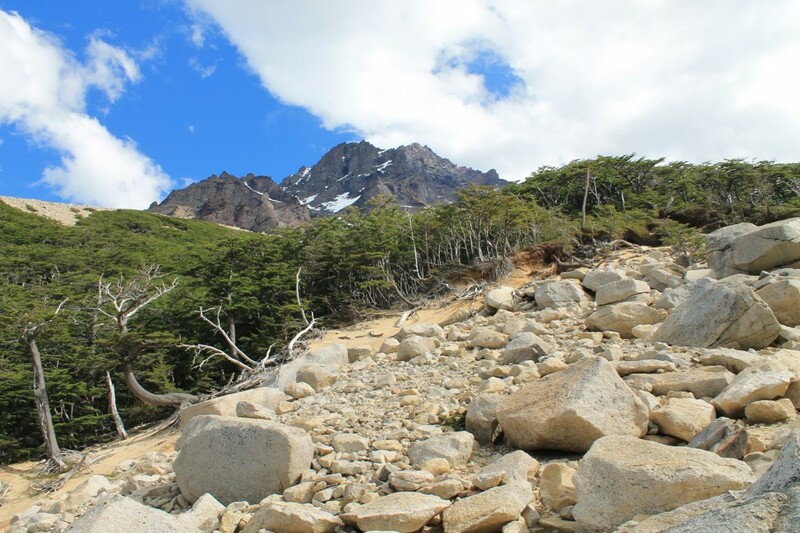 The hike from Campamento Torres to Refugio Chileno passes through a forest, and it’s much faster to travel as the trail is on a moderate decline down the mountain. 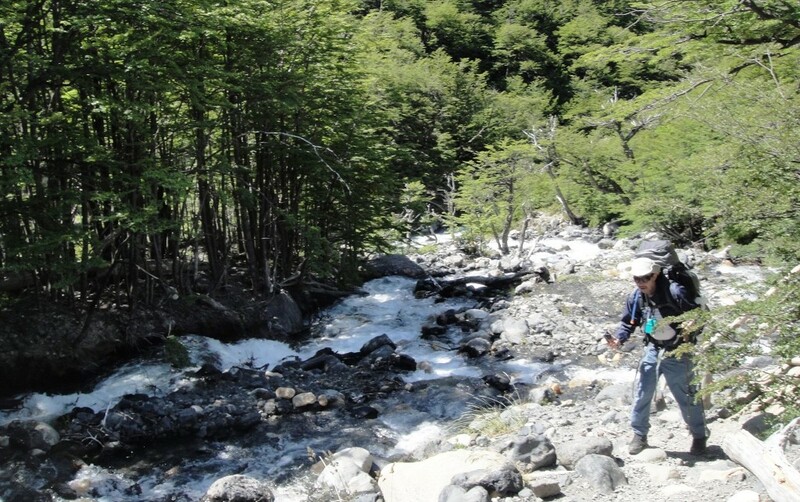 When I came beside the river again I knew that I was close to the Refugio. I made it to Refugio Chileno by 7:30pm passing by other backpackers trying to make camp in the windy conditions outside. 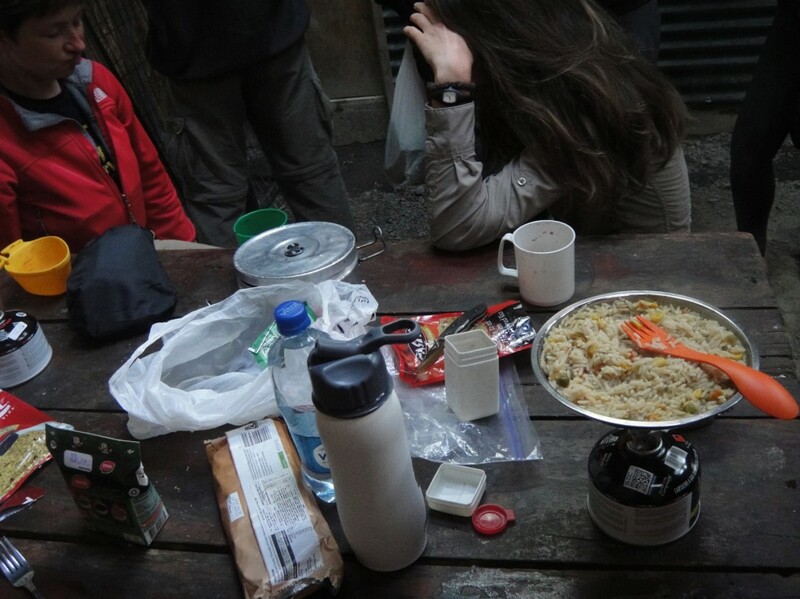 I had a nice hot shower in Refugio Chileno before deciding to prepare dinner in the camping area at Chileno. I tried the Tastic Chicken flavoured dehydrated rice and Knorr Lite Chicken and Lemon Cup a Soup. My first chicken in 3.5 weeks (if that counts as real chicken, as it certainly didn’t taste like chicken). Later that night at the fireplace in Refugio Chileno I was surprised to meet the Dutch dad and daughter who I met in Yagan House, Puerto Natales the day before. We shared some experiences and I headed for bed. Read about Day 2 of my trip here. Reunion Island: A summer tourist destination? Copyright © 2019 Travpacker.com. All rights reserved.